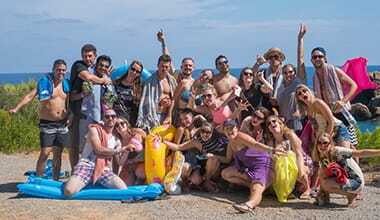 Why Book Ibiza Party Tours With Us ? 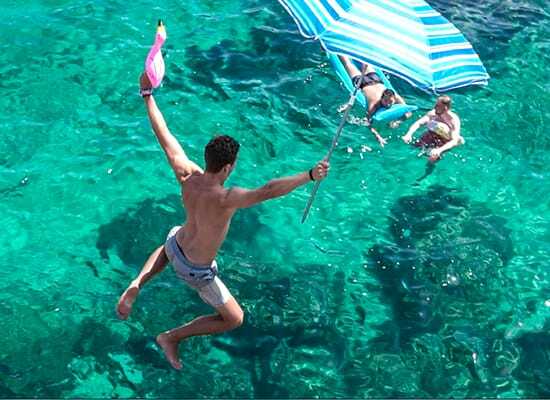 Book Ibiza 3 Night All-Inclusive Beach Camping Now & Save. You can book Ibiza online and secure your place for only £180 which includes your tent, sleeping bag and pillows along with breakfast and dinner for 3 nights. Select your dates below, it’s that simple. 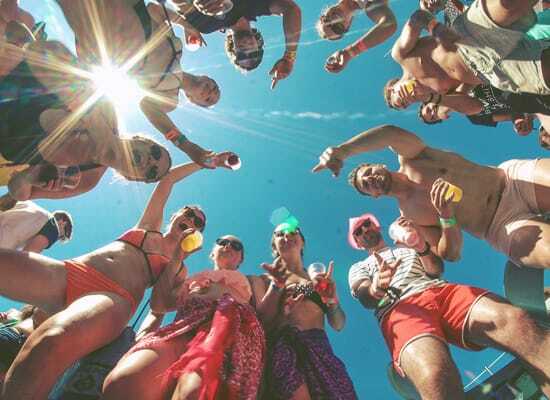 Stay at our all-inclusive campsite on the world’s best party island, Ibiza! We come here not only to party, but to party while appreciating the island’s natural charms. Located at in Cala Martina you’ll get to experience all of what Ibiza has to offer. Spend your days exploring and adventuring with a variety of activities like snorkelling, coastal hikes and cliff jumps. 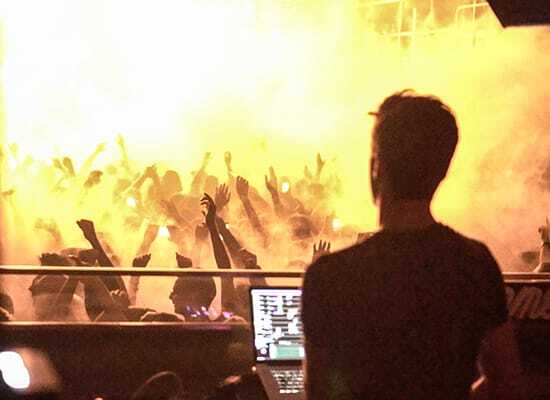 Then you can dance the nights away and experience what Ibiza is renown for! Cala Martina is an amazing beach with excellent watersport facilities and is popular among the “young hippie crowd”. It is the perfect location for windsurfers, beginners as well as advanced surfers. As mentioned above, there’s an open bar from 11am to 11pm. That helps cut costs of boozing up, so your purse won’t be stretched too far to get a good booze buzz going. Beware, spirits and beers in da clubs are more expensive than a high end prostitute on a Saturday night, so make the most of pre-drinking and you shall be thrifty little party animals. You can go wherever you want young, wild child. The campsite has live music most nights and we will judge the best club for that night, it may be Pacha, Space or other world class party venues. We usually manage to get great Ibiza club discounts for your entry depending on the night, time to letcha hair out and get weird. In July and August, the ferry departs Spanish mainland at 10.30pm on Thursdays arrives at Ibiza at 7am the next morning. Ferries back on Sunday take a little longer as they go via Mallorca. They leave at 6.30pm on Sunday and arrive at 8am on Monday morning. Just in time for you to get back to work or school with a pocketful of blurry memories.